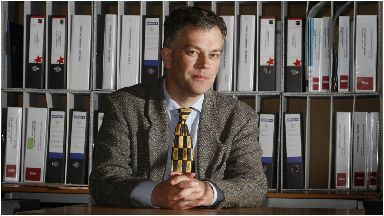 Green party councillor Martin Ford will leave the chamber under the 'objective test'. Green councillor Martin Ford has announced he will not vote when Aberdeenshire Council decides the outcome of Donald Trump's planning application to build 550 luxury homes in Balmedie. Councillor Ford, a prominent critic of President Trump, will leave the council chamber under the "objective test" when the application is decided. Councillors must always comply with the objective test, which is when their interest in a subject is deemed so significant it could prejudice decision making. 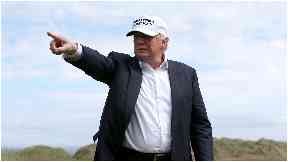 Councillor Ford said: "Mr Trump's destructive anti-social behaviour, environmental vandalism and made-up claims have got to be challenged. "However, by repeatedly speaking out against Mr Trump's actions, it does mean that now, applying the objective test, I can't take part in the Council process deciding on the Trump planning application for housing." The president's company applied for planning permission to build the houses in September. More than 3000 people have formally objected to the plans, with another 19,000 signing an online petition being considered by the council. The total is understood to be a new record for objections to a planning application in Aberdeenshire. 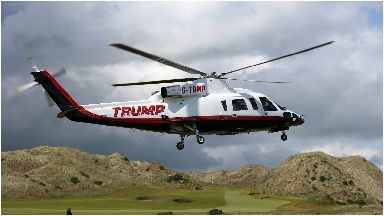 The development, which would be called The Trump Estate, would include a gym, an equestrian centre, and space for shops and offices. The proposed homes in Balmedie in Aberdeenshire, would cost an average of £1.32m - compared to the average local house price of £204,873. Councillor Ford said: "I'm quite clear campaigning to protect local residents' homes and the Menie dunes from being bulldozed by Mr Trump was the right thing to do. "I was appalled by Mr Trump's bullying attempts to force his neighbours from their homes, including threats of possible compulsory purchase." Local Balmedie resident David Milne said: "Many local people will be disappointed to hear that Councillor Martin Ford will not be formally taking part in the proceedings but I, as a Menie resident, feel that Councillor Ford's open and honest action is an example that should be followed by other Councillors."